The first period was blah, for both teams. All the goals of the game were scored in the second period. 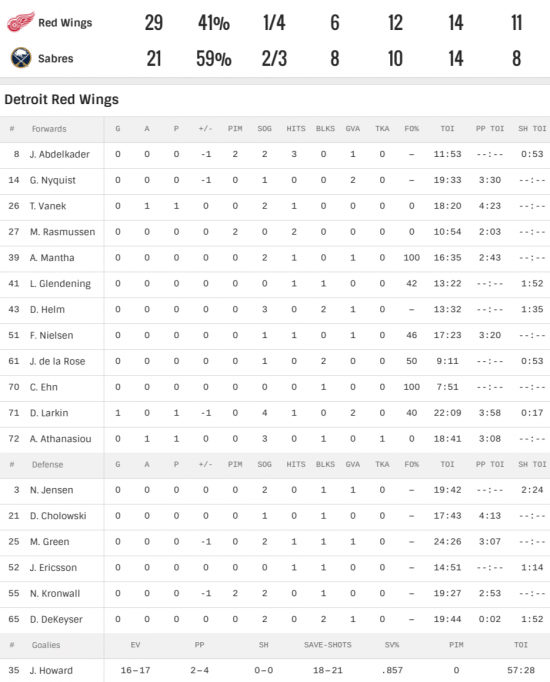 Buffalo was up by two before Larkin scored then Buffalo scored again shortly after that. Final score Buffalo 3 Detroit 1. That was YUCKO. So many lazy passes by the Wings. Never liked these early afternoon games.